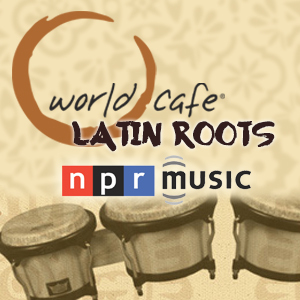 Free Concert Celebrating the New Sounds of Latin America! 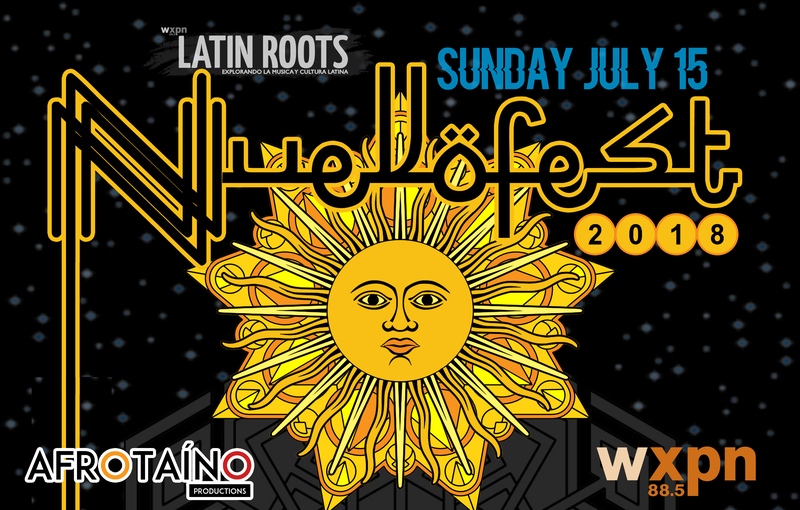 Some of the most exciting new music of Latin America can be seen and heard at World Cafe Live on Sunday, July 15 from 4-10pm as part of Nuevofest 2018. 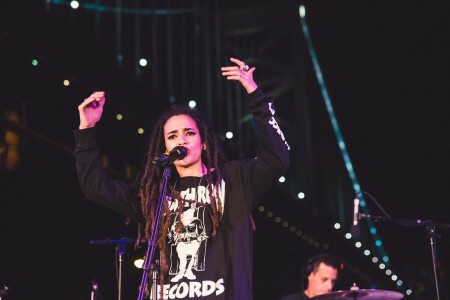 This all-ages concert will feature performances by seven outstanding Latin American artists. DELAPORTE – Sandra & Sergio, an electronic duo born in 2017, have become one of the hottest electronic acts in Spain in less than a year. Their song “Un Jardin” is prominently featured in the hit Spanish TV show Fama, and was the most-played song on Spotify (Spain) earlier this year. 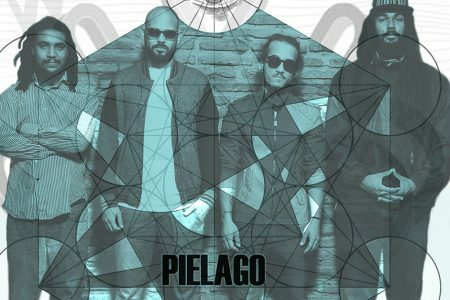 They’ve also gained acclaim by supporting Spanish tours by Bomba Estereo and electronic music legend Giorgio Moroder. 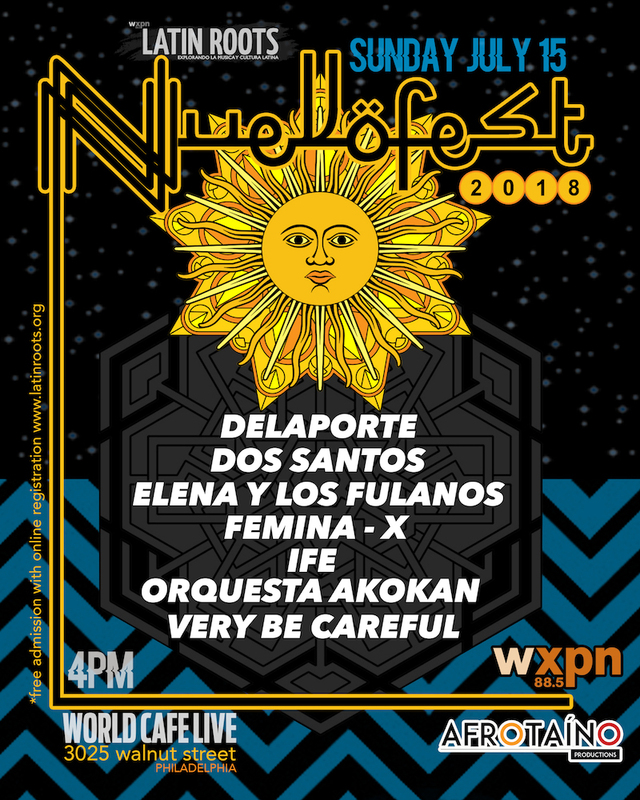 NUEVOFEST 2018 will be their first performance in the U.S.
ELENA Y LOS FULANOS – Formed in 2011, Elena & Los Fulanos came together on the streets of Washington D.C.’s rapidly-changing neighborhoods of Columbia Heights and Mt. Pleasant. That’s where Elena was introduced to D.C.’s mariachi, son, and punk music crowds, and met her future band members. The release of 2014 debut album Miel Venenosa was celebrated with shows in both Managua, Nicaragua and Washington, D.C. As a testament to their stature in the latter city’s growing indie and international music scene, the album earned a Wammie (Washington Area Music Awards) nomination. FEMINA-X – The five-piece band from San Antonio, TX creates unconventional fusions with electronic beats, samples, synths, and live instruments. They draw musical influence from progressive tribal and ethnic dance, hip-hop, jungle, Caribbean, industrial, punk, and drum and bass. Singer Daniela Riojas’ wide-ranging voice is always reaching from a place of passion, imagination, and childlike playfulness. Her vision, melody, and lyrics construct the world within each song, pulling from her ability to share the deeply personal with an edge of fantasy. DOS SANTOS ANTI BEAT ORQUESTA – Dos Santos is a quintet based in Chicago, whose elastic live performances and recorded output have garnered them wide attention as one of the city’s most potent, impactful performers. 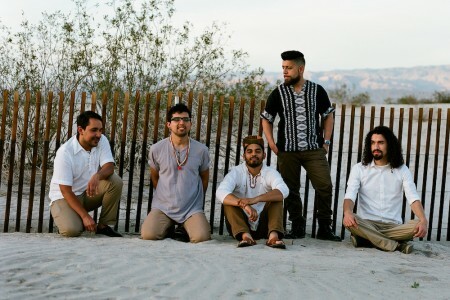 The group’s five members have their own storied careers in a diversity of styles: jazz, R&B/soul, traditional Mexican folk, punk, cumbia, salsa and electronica. After making their debut in May of 2013, Dos Santos has been steadily playing Chicago’s premiere live music venues and festivals, and such prominent U.S. events as SXSW, the Pachanga Latino Music Festival, and the Ruido Fest Latin Alternative Music Festival. VERY BE CAREFUL – Two decades of ceaseless adventure and raucous times have sustained the Caribbean souls and California hearts of these Los Angelenos, whose music has helped popularize the 1950s-1970s sound of Colombian vallenato and cumbia and incited tens of thousands to boogie to Colombian coastal beats. Fans have been awed by their concerts in clubs (including New York’s SOB’s and L.A.’s House of Blues) and at such major international events as SXSW, Germany’s World Cup Tour, Chicago’s Summer Dance Series, New York’s Central Park Summerstage, L.A.s’ Grand Performances and Sports Arena’s CumbiaFest, Glastonbury Music Festival, Fuji Rock Festival, and many more. ÌFÉ – A powerfully progressive synthesis of electronic sound and Afro-Caribbean language, ÌFÉ is a bold musical project from Puerto Rico-based African American drummer/producer/singer Otura Mun. Mun, an Ifá priest (or Babalawo in the Yoruba religion), has been a vanguard artist in the Puerto Rican music scene since his arrival there in the late 1990s, producing critically- acclaimed albums and songs for many of the island’s most important musical voices. The group won many new Philadelphia fans when it played a Latin Roots Live! concert at World Cafe Live in April 2017. ORQUESTA AKOKÁN – Making their U.S. debut at NUEVOFEST 2018 is Orquestra Akokán, a big band collective of the finest musicians in Cuba, assembled and led by vocalist José “Pepito” Gómez. Akokán is a Yoruba word used in Cuba meaning “from the heart,” and every song on their self-titled debut album on Daptone Records feels like a heartfelt gift from the band to the listener. It was recorded live to tape at Havana’s hallowed Estudios Areito, one of the longest operating studios in the world and where many important Cuban records have been made. The arrangements carry the exquisite beauty, pathos, and playfulness of the renowned dance orchestras of the 1940s and 1950s that recorded in that very room.